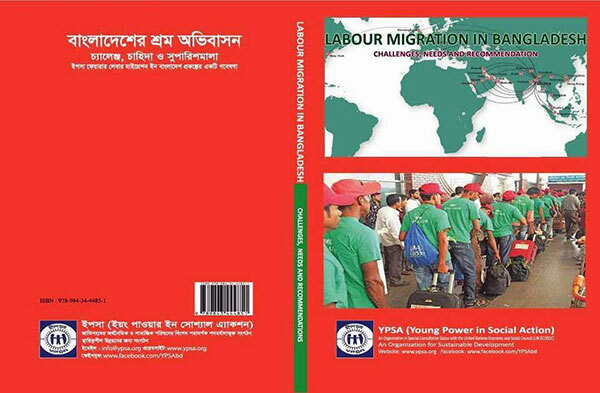 Launching ceremony of a research book titled “Labour Migration in Bangladesh: Challenges, Needs and Recommendations” was arranged by YPSA-Labour Migration Project on 26 May at the conference room of YPSA Head Office. The publication reflects the migration scenario in Bangladesh in depth. This research also proposed some remarkable recommendations on ensuring safe and orderly labour migration of Bangladesh. Chief Executive of YPSA Md. Arifur Rahman, YPSA General Member Dr. Shamsun Nahar Chowdhury Lopa. Director (SD) Md Mahabubur Rahman, Director (finance) Palash Chowdhury; Director (EC) Manzur Murshed, YPSA and other senior staffs were present at the launching ceremony.